Twitter Thursday #3: What Do I Tweet? Now that you are armed with all the basic tools to get going with Twitter, you need to think about what you’re going to tweet. This will depend first and foremost on your Twitter strategy – what do you want to use Twitter for? You can of course use it solely as a kind of online diary system by tweeting about your everyday life, or you can simply follow the antics of others without ever sending your own tweets. Twitter, however, is much more than just a broadcasting site. It is a true communications tool which, and at its best, it can be used to create and develop real communities. Too many businesses sign up thinking that they can use traditional sales methods to market themselves on Twitter. Alas, it does not work like that. I would argue that anyone approaching Twitter with that kind of transactional thinking is doomed to failure. We need to develop a different mindset where we listen to others, add value to what they have to say, and then engage fully with them. At its core, Twitter is about developing relationships. It is about creating followers, not customers, and it is about presenting yourself in such a way that your followers will become advocates. In order to achieve this you will need to be open, variable and supportive. Mostly you will have to be consistent and persistent, since none of this will happen overnight. Twitter success means a long-term commitment – not necessarily a commitment to hours of work, but rather to a little time every day. Your aim as a friend or a business user is to become memorable to your followers/advocates as a go-to person, both for your knowledge and for your willingness to share it. We belong to a global community. More and more of our interactions take place on the internet. To be a part of this revolution you need to be out there engaging and sharing. You need to ‘go social’! If your aim is to grow your business, you need to grow your social network and start gathering Social Capital through your online presence. Consider the kind of people you want to interact with and tailor your tweets accordingly. Be Funny, be Interesting, be Relevant and be an Expert in your own knowledge. Start by retweeting others in order to build your confidence. Use hashtags (#) to start Trends, but be wary of the ‘Trending’ themes featured prominently to the right of your Timeline. They are often flippant, offensive (the worst of the internet tends to be represented in some of them!) and generally a waste of time. Also remember to never be drawn into internet arguments. There is no way to ‘win’ these, and they drain your credibility no matter what the outcome. Above all, write something every day – the internet has a short attention span! Go social, and have fun! Hopefully you’ve been enjoying all of the content posted to the blog so far. If you find yourself missing new posts, don’t worry! You can subscribe to the blog’s RSS feed using Google Reader or your favourite news aggregator, or you can follow @timorahilly on Twitter and put some of my Twitter Thursday advice into practice. But if you’d like to get more than just news of the latest blog posts, why not sign up for a FREE weekly newsletter? It will contain links to any blog posts made during the week, as well as news and information on the latest developments in the exciting world of Life Coaching. If you’re interested, just go to the front page and enter your name and e-mail address in the fields on the lower right-hand side. I look forward to hearing from you! Here we are with part two of the Basics of Twitter. Having set up your account and sent your first tweets, you’re probably wondering what to do next. Below you’ll find some basic tools that you can use to improve your tweeting straight away, then next week we’ll take some time to look at what you should be tweeting, rather than just how you can tweet. 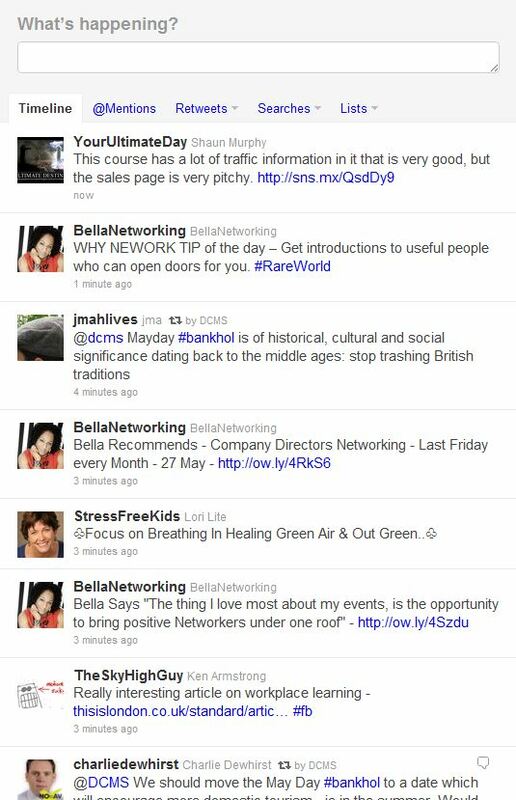 Firstly, the tweets belonging to you and your followers all appear in a column called your TIMELINE, on the left of your screen. If you hover your cursor over a tweet, four things will appear. First off is the FAVOURITES button. If you click on it, an orange corner will appear on that tweet, which will then be saved. On the right hand side of the screen you will see a ‘Favourites’ tab. Click it to see a list of all of your favourite tweets. Remember, you can ‘favourite’ tweets from anybody, not just those from people you follow! Each tweet that you send out is called an UPDATE, the most basic form of tweet. Next to the favourite button in your highlighted update is a button called RETWEET. You may have noticed that some of the messages you receive start with RT (or else a pair of arrows forming a square). This indicates that this person is sharing somebody else’s tweet with their twitter followers. ...and an example of a Favourited tweet! To do a RETWEET (RT), just click on the retweet button under whichever tweet you want to share. The message will then appear in a preview window in the middle of your screen. From there, simply click ‘Retweet’ to make it visible to all of your followers, plus the person who originally sent it. At the top of the timeline column there is also a retweet tab, where you can see all of your retweets along with the retweets of your followers and any of your own tweets which have been retweeted. This can be a handy way to see which of your tweets others find interesting enough to share around the internet! The next button along is the REPLY tool. This is the public method of responding to a tweet. Once you click on the REPLY button, a new window will open on the center of the screen, giving you the opportunity to reply directly to the original message. Your reply will always begin with the @twitter username of the person you’re replying to – so if you decide to reply to a tweet by life coach Tim O’Rahilly (to use a random example! ), your message will begin with @timorahilly. Be very careful when using this, as the reply can be seen by the recipient, their followers and your followers as well. In other words, treat ‘reply’ tweets as public tweets, just as you would with any of your usual updates. You can see all of your replies by clicking on the @mentions tab at the top of the page. This brings us to another type of tweet: the MENTION. If you place any twitter username in the body of a tweet, it becomes an @mention. The person whose username you included will be notified of the fact that they’ve been mentioned, but apart from this, the message will behave like any regular tweet. Their username will also act as a link to their public profile. @mentions can thus be a good way of networking with other twitter users, or of directing your followers to a twitter user whose tweets you find particularly informative or entertaining. If you have a lot of followers, @mentioning somebody can be a good way of getting their attention! A sample MENTION. Notice how the text above the message box has changed to 'Mention timorahilly'. Again, you can see any tweets which @mention you by clicking the @mentions tab at the top of the page. If you want to send a private message to somebody, one that nobody else will be able to see, you can send them a DIRECT MESSAGE. To do this, just go to your usual twitter box (the one you’d use to send any other tweet) and type ‘d username’, replacing the word ‘username’ with the Twitter username of the person you want to message. Then just type your message and click the ‘Send Message’ button. Easy! Here's an example of a DIRECT MESSAGE. You can see that the text above the message box changes to 'Message timorahilly'. Finally, let’s take a look at the ever-popular # or HASHTAG. If you place a # symbol before a word, it will make it easier for people to search for it. It is often used when large groups of people are tweeting about the same topic or sharing tweets at an event or conference. This allows all the related tweets to appear in the same place, or in the results for the same search. For example, you might be a fan of BBC’s Question Time program. Next time it’s on, try typing #BBCQT into the search bar at the top of your Twitter homepage. This will show you every public tweet which also uses the #BBCQT hashtag, and will be updated live as new tweets are sent. Note that clicking on any hashtag phrase within any tweet will automatically show you any other tweets which have used it – so if you spot a tweet with a #hashtag that looks interesting, click it and find out what others are saying about the same topic. Use of # leads to TRENDS, which you will often see listed on the right-hand side of your homepage, but we’ll come back to that! To finish, here is one of the most popular hashtags: #followfriday or #ff. Check your timeline every Friday to see who is using this. #ff is a hashtag which many people use to recommend other twitter users who they think their followers might be interested in following. Have a play around with it, and have fun! Next time: What To Tweet. The simplest of all the current social networks is the communication site TWITTER. This is instant, flexible communication and has become a global phenomenon with over 200 million users generating 65 million tweets a day. Twitter differs from the presentation sites like Facebook or Linked In since it was conceived of as a micro-blogging site. It is primarily a communication channel, allowing its users to post information or updates about what they are doing within a 140 character limit. Any other Twitter users who have chosen to FOLLOW you will instantly see your TWEETS. Likewise, updates from all those whom you have chosen to follow will appear in your message stream or TIMELINE. An example of a Twitter Timeline in action! The tweets of everybody you are following will be displayed here. If you want to be a part of this great community it could not be easier to get started. Over the next few weeks I want to show you the basics of how to get tweeting and then how to get the most out of your Twitter experience. To make your Twitter account, go to www.twitter.com and look for the SIGN UP tab or use the sign-up field right on the main page. Here you can enter your details and very quickly get your account set up. At this stage you need to think about a user name. Take a moment to consider what you want to use your account for. If you are intending to use it for yourself or for your own small business, then I strongly recommend using your own name if it is available. Whatever name you decide on, it must also fit within the limit of 15 characters for Twitter usernames. I will come back to the power of your personal brand at a later date, and of course you can change your username at any time. During the sign up stage it will also be worth taking a little time to work on your concise biography and on choosing a clear photo for your profile picture. You may well already know friends who have Twitter profiles, so you might choose to start by following them. If you just want one user to get you started then my username is timorahilly, and I will be happy to help you learn the ropes. 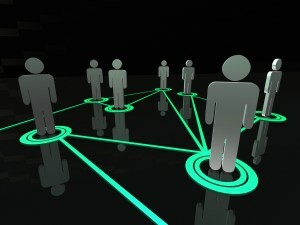 It is easy to search for other friends or even celebrities to FOLLOW, and you will quickly build up a small network. Once your account has been created, you will be ready to take the plunge and send your first TWEET. Spend some time looking at what others are Tweeting about. This might inspire you further. I tweet and RETWEET several times a day, but tend to avoid the ‘Just going for a shower’ style of messaging. A sample Tweet. The number of characters you have left is displayed beside the 'Tweet!' button. Next week we will look at the basic tools such as RETWEETS, MENTIONS, REPLIES, DIRECT MESSAGES, SEARCHES, LISTS and the power of the HASHTAG (#). These words are at the core of “Man’s Search for Meaning” by Viktor E. Frankl, first published in 1946. In preparation for a blog post I was writing on stress, I decided to revisit this profound work and would love to see it more widely read. It is arguably one of the most influential books published since the Second World War. Frankl intended it to answer the question “How was everyday life in a concentration camp reflected in the mind of the average prisoner?” To that end, the first part of the book describes, in harrowing detail, Frankl’s experiences as an inmate of Auschwitz and several other concentration camps. The second part of the book serves as an introduction to Frankl’s psychotherapeutic ideas about the search for a reason to live. Drawing on his experience as a psychologist, Frankl introduces the reader to ‘Logotherapy’, his own form of treatment. 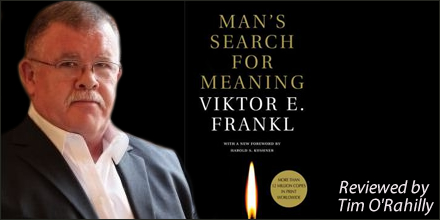 After identifying the main psychological states experienced by his fellow concentration camp inmates, Frankl came to the conclusion that the meaning of life is to be found in every moment of living and that even in the most extreme circumstances life never ceases to have meaning. If you ever need to have your life put into perspective, or your stressors diminished to their true unimportance, then reading this book is a must! As a consultant who works primarily to help organisations learn to ‘live’ their vision and values, I discuss Frankel’s priniciples a great deal within group coaching sessions. They form a hugely powerful set of ideas, especially when combined with some reflections upon Frankel’s own life journey. Thank you for bringing this work to wider attention – a valuable and well-written article describing some eternal and empowering truths. Thank you for your book review, really enjoyed it. I do have the book and only have dipped in and out of it. Now I am Going to make the time to read it. Thanks for refreshing my mind to it. I was pleased to see that on the Coaching Academy’s wonderful CPD day ’3D Stress Coaching’ this book was recommended as the one to read! It’s important to remember not to TRIVIALIZE the sheer misery and degradation of these camps, and of how many people, indeed very brave and positive beings, did NOT come out alive, no matter what their ‘attitude’ was. It is too easy to forget this. Nowadays there seems to be a rather easy attitude to accepting ongoing ‘horrors’ elsewhere (all types of economic and social oppression as ENTRENCHED lifestyles, even, for example, 3 generations of refugees living in tents and without passports, during 5 decades in some regions), and saying that we can just ‘choose our attitudes’…. there is really no excuse for letting some situations get so bad in the first place. It can be temptingly easy to fit Frankl into the ‘feel-good’ school of positive thinking. I just want to point out that the whole rationale of ‘death-camps’ and deliberate ‘extermination’, torture, starvation and so on goes a lot deeper than that. And it kills a lot more than just a handful. I had to do a presentation on this book last year for part of my psychotherapy training. I was blown away by the impact the book had on my life. It really is about life whittled down to the bone, and shows that even when confronted with life-threatening situations, we do still have a choice: a choice how to “be”. It certainly does put our own problems into perspective and Frankl is a truly inspirational human being. When I am feeling really down, or overcome by life, I try and remember what he wrote; “Where there is life, there is hope”. As a general reader, this is a book that has made a difference in my life. Frankl’s optimism, his constant exuberance about life even when he was faced with so much loss and sadness is remarkable and truly inspirational. Thank you for sharing your comments. It has been heartening to read so many thoughtful responses to my review and I thank all of you for those! I would like to respond to Zophia’s passionate comment as I would certainly not want to be thought of as trivilalising the situation in any way. I wholeheartedly agree with everything you say. Since I have found Coaches in general to be both intelligent and caring about all people, I assumed that readers here would take all that as read. Throughout my long career as a school teacher I did my best to pass on to my pupils a respect for all life. In fact I clearly recall one history lesson where I invited an elderly Death camp survivor to come and talk to my class of 11 year olds about her experiences. It was a moving and at times harrowing afternoon and she argued powerfully about developing a respect for human life. It is important to remember the relevant context here. This was a BOOK REVIEW and was written with a specific audience in mind on this site. As such it would have been wrong to enter into any political or moral discussion which might have diluted the intention of the author. After all he was there and it was he who placed himself firmly into what you call ‘feel-good’ school of positive thinking. If you have not read the book I hope you will. As you are a person who clearly cares about our world I hope it will inspire you to continue to do your bit to make it a better place.